Avengers: Endgame movie is only 10 days from its official release but fans on social media are freaking over a massive leak that has made its way to the social media platform. 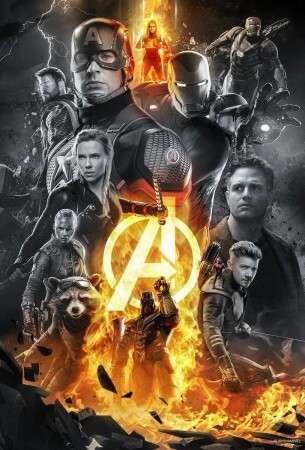 Avengers: Endgame movie is surely one of the biggest and most-talked about movie of this superhero-fan generation. Over the last couple of months, Marvel Studios has tried their best to keep everything behind the curtains. At one point, even the actors had no idea about the fate of some other characters. For instance, Spider-Man: Far From Home star Tom Holland was not even allowed to have a script in case he accidentally reveal anything to the media. Despite Marvel and Disney's best efforts, a massive leak is making its way around the internet. We are not going to reveal what the leak talks about as we do not wish to spoil the greatest superhero movie of all time for you. But as everyone is suggesting, you should mute all the Avengers related topics on your social media handles in case you want to save yourself from reading or seeing the leaked footage. Several Marvel movie fans have even deactivated their social media accounts and are fleeing from all those conversations which talk about Avengers: Endgame movie. Marvel's Avengers: Endgame will bring the end to the ongoing Marvel Cinematic Universe' phase. There was so much secrecy surrounding it that several movie experts were not even allowed to watch the first 20mins of the film ahead of their interview with the movie's cast and crew. Even movie's co-director Joe Russo has encouraged MCU fans to stay away from all the spoils and to not spread spoilers. "I think this one has even more spoilers than the last one. This is a culture that wants everything now, and it's getting worse. The world is connected via social media, and information travels within seconds. If you've been following along with this narrative for 10 years, you're going to want to protect yourself. It's best to go in clean," Joe said during his earlier conversation with Box Office Pro. Avengers: Endgame opens in theatres on April 26.